This book engages with the issue of how culture is incorporated into individuals' lives, a question that has long plagued the social sciences. 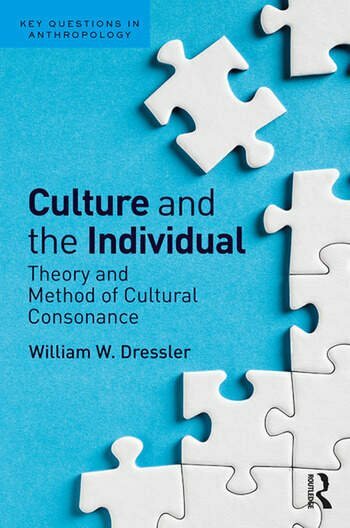 Starting with a critical overview of the treatment of culture and the individual in anthropology, the author makes the case for adopting a cognitive theory of culture in researching the relationship. The concept of cultural consonance is introduced as a solution and placed in theoretical context. Cultural consonance is defined as the degree to which individuals incorporate into their own beliefs and behaviors the prototypes for belief and behavior encoded in shared cultural models. Dressler examines how this can be measured and what it can reveal, focusing in particular on the field of health. Written in an accessible style by an experienced anthropologist, Culture and the Individual pulls together more than twenty-five years of research and offers valuable insights for students as well as academics in related fields. William W. Dressler is Professor of Anthropology at The University of Alabama, USA. A former president of the Society for Medical Anthropology, he received the Burnum Distinguished Faculty Award from Alabama in 2002. His work focuses on the intersection of culture, the individual, and health, and his research has been supported by the National Institutes of Health and the National Science Foundation.